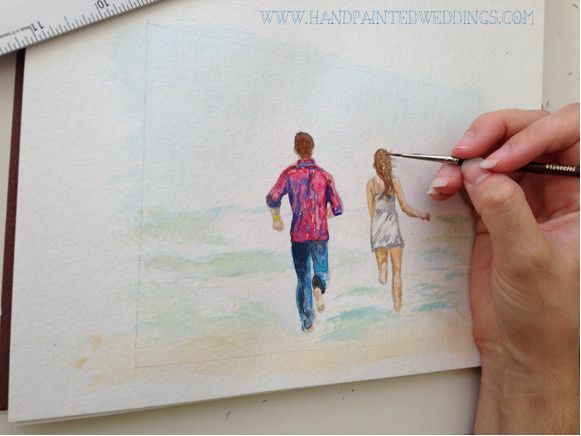 What sets Hand-Painted Weddings apart is the very human element that watercolor brings to your wedding. 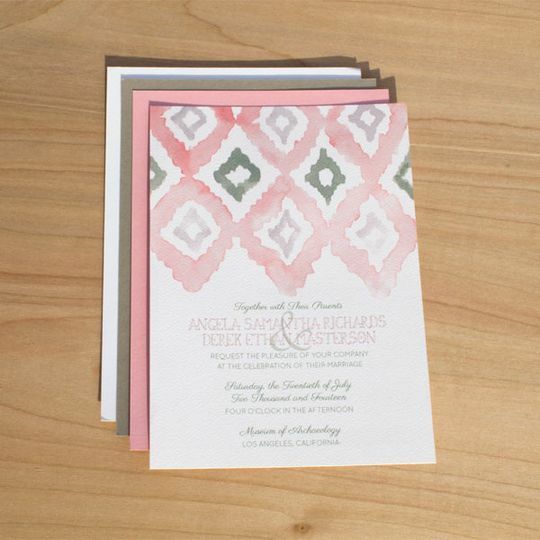 It isn’t digitized, just as the wedding that follows the invitation isn’t digitized or cookie cutter. 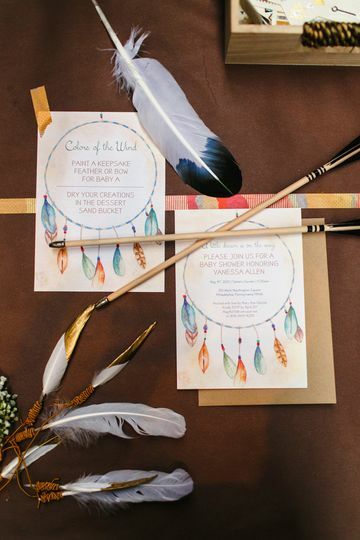 A Hand-Painted Wedding is unique, human, and, of course, hand-painted. 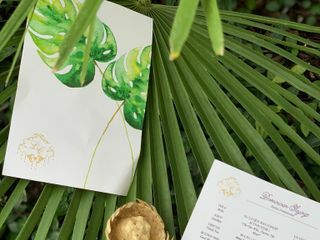 With Hand-Painted Weddings you will work directly with Allison to create your very own custom invitation package, thumbprint guestbook, save the date, or commissioned watercolor from painting phase through final printing phase. 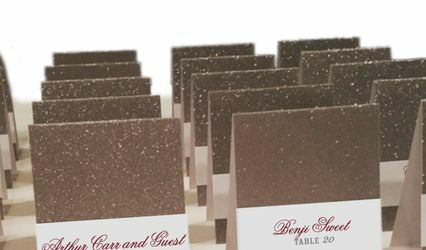 There are also 30 beautiful, unique, hand-painted "Signature Invitation" designs available to purchase and customize. 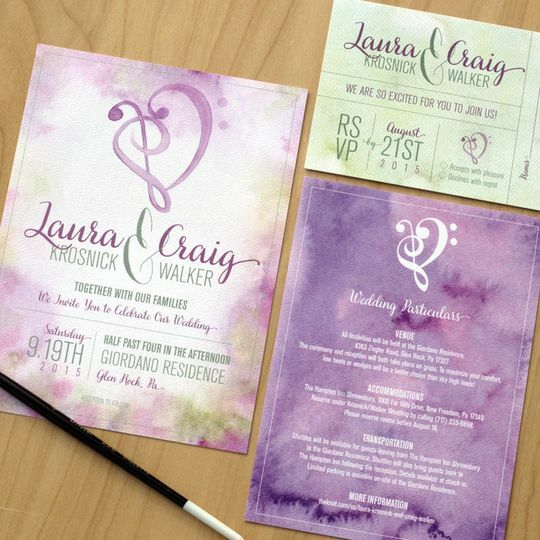 We had a wonderful experience working with Allison on wedding Save the Date cards for my daughter and her fiancé. Allison adapted a design we admired on another of her works and had a mock up and alternative suggestions to us within a couple of days. Her initial design was perfect! We also used her addressing service. I can’t say enough about how patient she was as we added, subtracted, and changed the list she had to work from. Finally, the finished products were delivered to us at a local coffee shop, because she noticed we were close by and wanted to save us the cost of shipping. 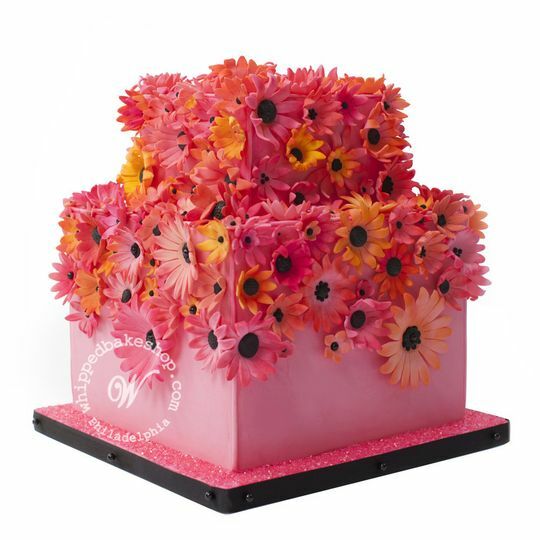 The final product was lovely! 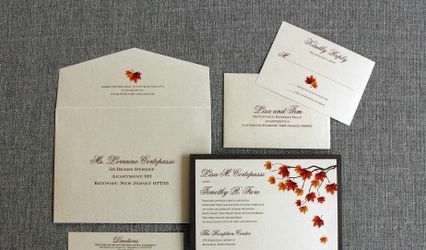 The design, the quality of the paper, the font on the envelopes all exceeded expectations. 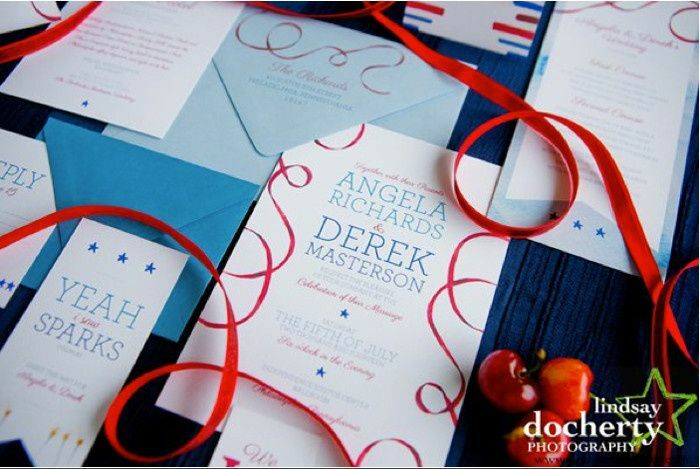 The couple have received many compliments on the artistry of the cards. 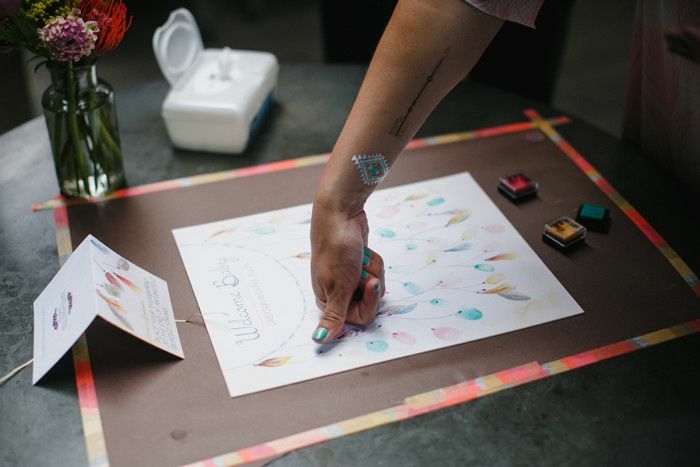 We would not hesitate to recommend Hand Painted Weddings to all. Allison is a gifted artist who made our vision come to life. She was a pleasure to work with and really took the time to immerse herself in our ideas for our destination wedding in Punta Cana. 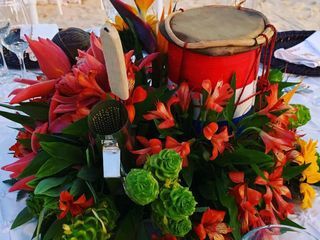 We hosted a Caribbean-themed welcome party on the beach the night before our wedding and wanted to celebrate our Dominican, West Indian and Guatemalan culture through the entertainment and stationary of the event. 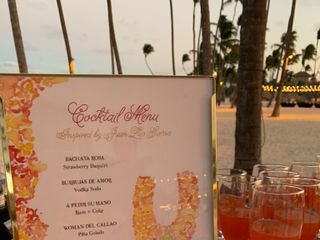 Allison took the time to research famed Dominican merengue artist, Juan Luis Guerra’s music and restaurant, Bachata Rosa, which inspired the decoration of our welcome party. 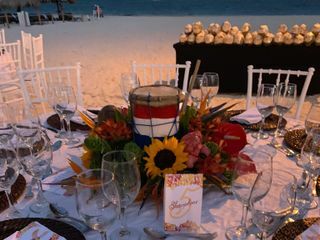 She hand painted the menus with beautiful Lechones and Diablo Cojuelos as well as our gorgeous tropical table numbers. 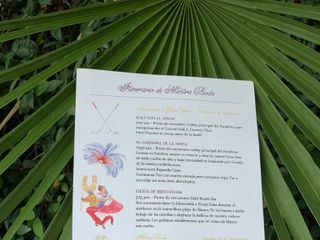 She also hand painted all of the stationary for our guests’ welcome bags like the itinerary, a popular Dominican sayings card and welcome tag. 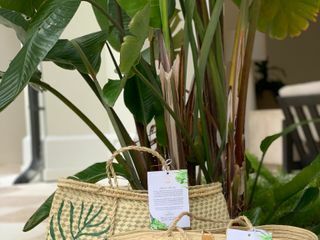 All of these pieces were the perfect accent to our welcome bags which were hand painted by local Dominican artisans. 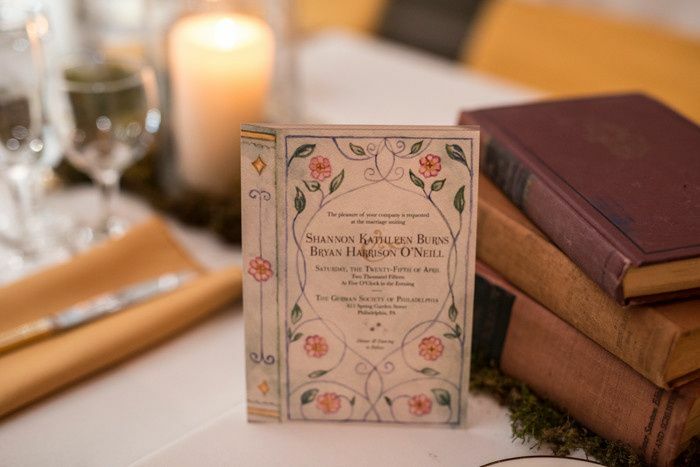 Allison also designed our beautiful wedding monogram which was inspired by the chandeliers that can be found throughout the resort where we were married. Working with Allison was one of the best decisions we made for our wedding. All of our guests are still talking about how beautiful everything turned out and how they saved all of the creatives Allison made. 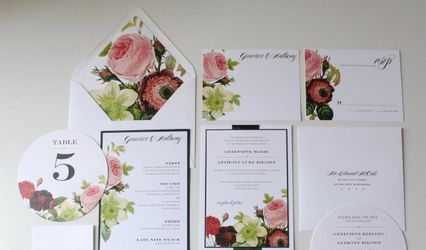 If you’re looking for a vendor who pays careful attention to details and is passionate about her work, I confidently recommend Allison. She’s absolutely wonderful. 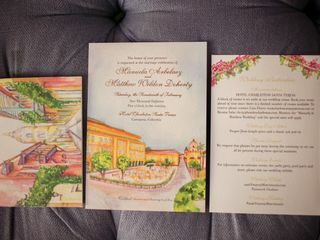 Looked all over to find a custom watercolor invitation that was unique and personable. Allison is the one to go to if you're looking for great communication, speed, quality and creativity. 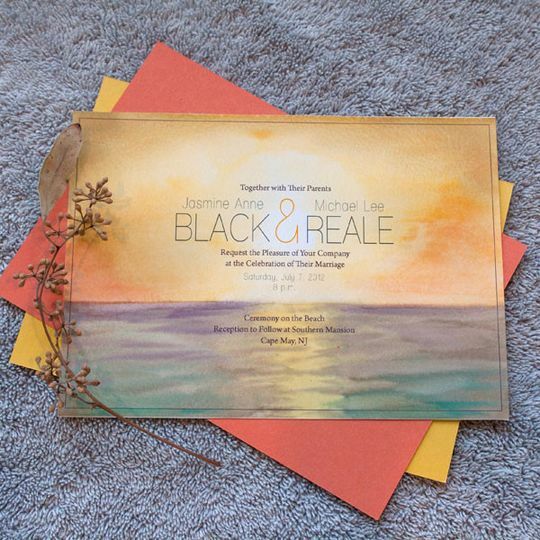 She finished my invitation in 3 tries and I love the way they turned out. I'd highly recommend her. She is a true artist! Allison is a tremendous artist and a really nice person. 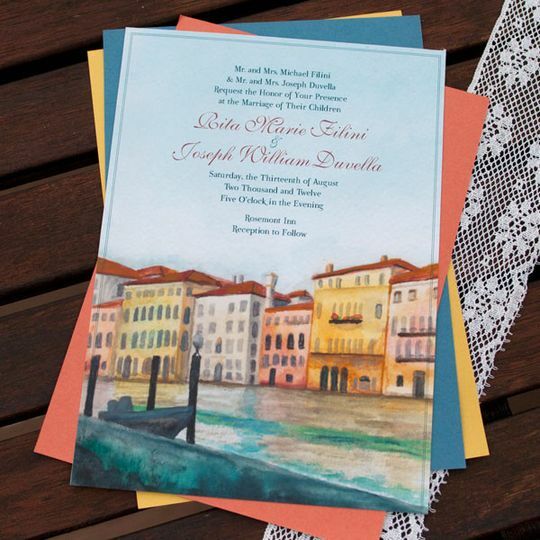 We highly recommend Hand-Painted weddings for gorgeous invitations.